In July 2017, the first Frontiers in Traumatic Brain Injury conference took place at Imperial College London, showcasing the latest developments in the world of traumatic brain injury (TBI) research. TBI is a multidisciplinary problem; this conference was initiated to bring together clinicians and scientists, from all disciplines, to be informed on, and contribute to discussions surrounding the latest research in TBI. This two-day conference was hosted at Imperial College, in the heart of London. The event included invited talks from established world-leading academics as well as early-stage researchers. We also hosted two interactive debates, with live voting and questions from the audience. 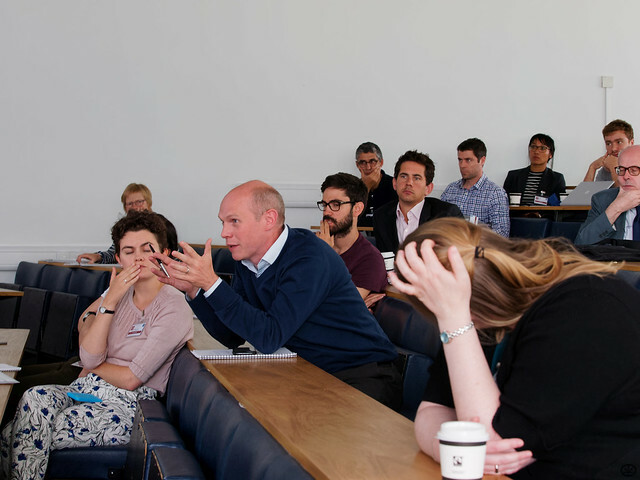 A broad range of topics were covered, to reflect the multidisciplinary nature of TBI research and care – included topics were: military, sporting, paediatrics, neurodegeneration, neuropsychiatry, psychology and injury modelling. The FITBI2017 program can be found here. Some of the talks are available to download here. © Copyright 2019 Frontiers in TBI. All Rights Reserved. The Conference by Rara Theme. Powered by WordPress.